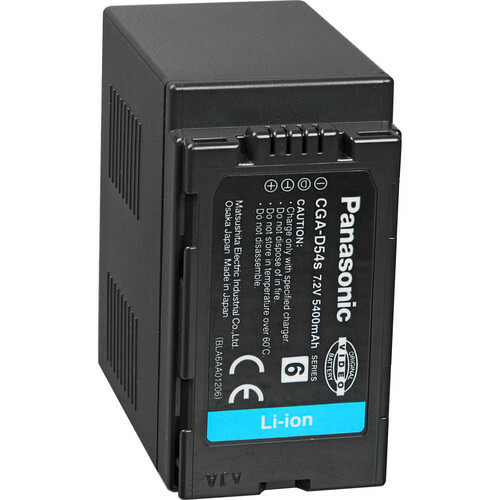 Panasonic's CGA-D54 is a battery designed to work with select Panasonic MiniDV digital Palmcorders. Its lithium-ion technology can power your camera for up to 9 hours. This battery is immune from "memory" effect; so you can fully recharge it any time you like and there's no need to wait for it to drain completely.